If you do not have a gardening space and you miss gardening, you might want to consider helping out at a Community Garden. You get rewarded with vegetables for weeding and socializing with other gardener want-a be's that also have no gardening spot. It is a great way to help feed people who need food and learn gardening tips from people that have had gardens all their lives. If you live in an apartment with a balcony, than planting a Topsy Turvy with tomatoes and a variety of peppers, in the spring,will provide fresh vegetables, and a lot of gardening fun without losing a ton of space on your balcony. Also if you have a window that gives you seven hours of daylight , you can grow your Topsy Turvy indoors and receive lots of tomatoes for your effort. Growing spinach can be tricky. If you plant spinach plants too close together it bolts(grows fast) and goes to seed before you get the leaves from it. Spinach doesn't like to be transplanted so starting plants from seeds in your home doesn't work. 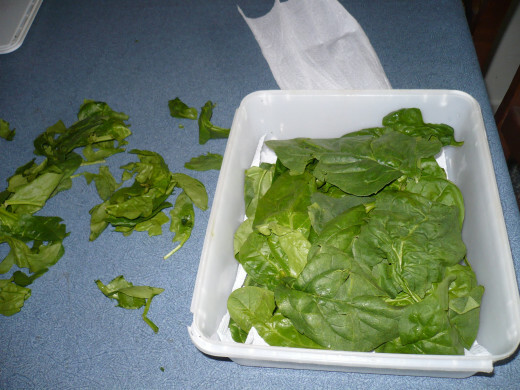 You can start planting Spinach seeds direct to your garden furrows,in fifty degree weather. It loves the cold. TIP: If you hoe you garden furrows in the fall, they will be ready to plant in the spring when the frost leaves. Spinach needs to be planted from seeds directly into your garden into shallow furrows, a half inch deep and twelve inches apart for it to mature properly. It doesn't like heat so spinach needs to be shaded with a canopy of shade cloth. This is a netting that allows the sun to perforate threw and water to enter into from the top to your spinach plants. Spinach is a good source of Vitamin K and A with magnesium and calcium. It is a versatile green to eat raw or cooked. Spinach is one of a very few vegetables that is as nutritious cooked as it is raw, tossed in a salad with oil,vinegar. Kale is a crunchy hearty green that can be planted in the fall when your other vegetables are done. It is a cool season crop. You sow seeds four to five weeks before the first frost so the warm soil will generate the seeds. Plant the seeds 1/4 inch deep and twelve to eighteen inches apart in rows two feet apart. Kale is a more heartier green to grow than spinach. You don't have to shield it from the sun and the first frost makes it taste sweeter. Curly Kale is the most popular and has a slightly bitter, peppery taste. Kale is a great source of Vitamins A, C and iron. 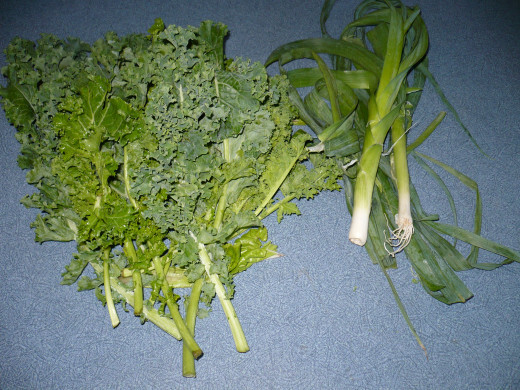 You can use Curly Kale in cooked soups, stews, and chopped fine and added to your boiling potatoes to be mashed. Add butter/ S/P. A great addition to mashed potatoes. Curly kale, if you remove the stems and chopped, makes a great salad with your favorite toppings. Swiss Chard is the most common grown chard and the stems come in many colors from red to yellow to white, making this chard a rainbow in a bowl. Red Chard is the fastest growing of the chard. The growing season is from May to August but Chard is also frost hardy. You plant seeds in groups, in sun and space about a foot apart. This will produce more than one plant ,in fact most of the seeds do promote more than one plant. You harvest the outside leaves before they go brown and new leaves will grow for months. 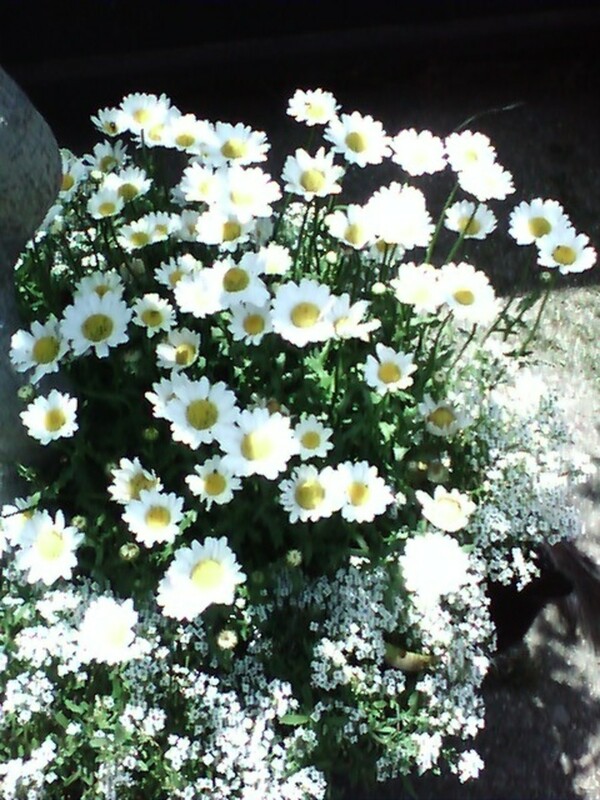 You can use the whole plant and re-seed every month for new plants. Chard has the same taste and texture as spinach but you get a better harvest from Chard than Spinach with little effort after you plant the seed. Swiss Chard is full of iron,calcium, vitamin A,C and is know to promote lung health.Swiss Chard is used in salads as a green and it's thick stems can also make delectable side dishes for your dinners. The advantages of growing beets instead of Spinach. When you grow beets for their greens , you get the added bonus of a root vegetable that pairs well roasting it in the oven with other root vegetables. To grow beets you plant them in shallow furrows of two inches deep and space the seeds two inches apart,in rows a foot apart. The whole beet can be eaten so don't throw away the nutritious beet greens. 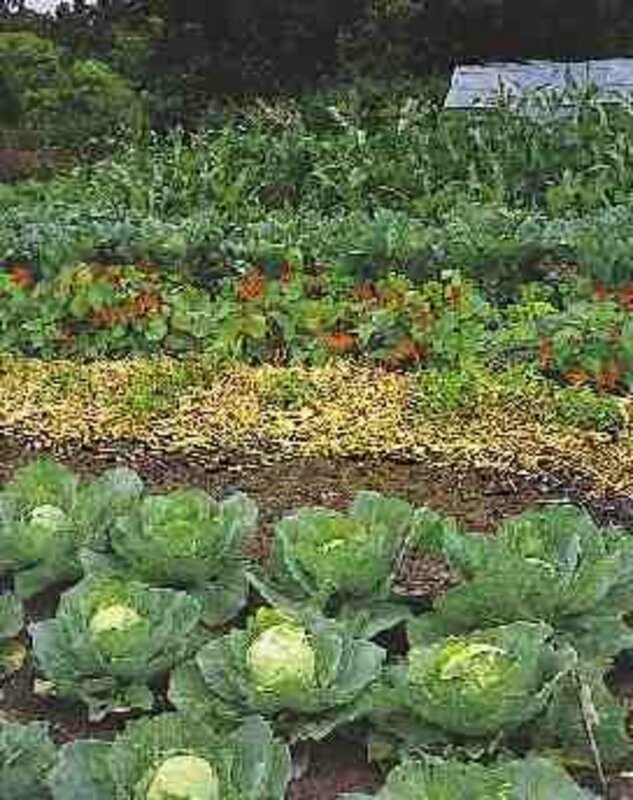 TIP: All of the greens, I mention above can have mulch or plastic put down around the plants and between the rows, to help control the weeds. Also, they all need a pesticide soap ( water, lemon dish soap and rubbing alcohol) spayed on the plants to stop aphids from getting to all their wonderful leaves and killing the plants. 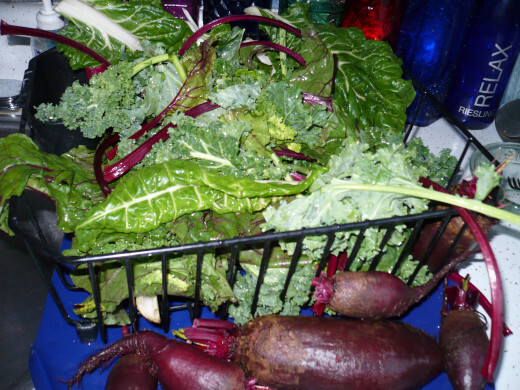 Beets and Beet Greens contain Vitamins C,A,K. The vitamin k is important for bone mass and vision health. Beet greens can be chopped and used in an all healthy greens salad with Chard, and Kale. 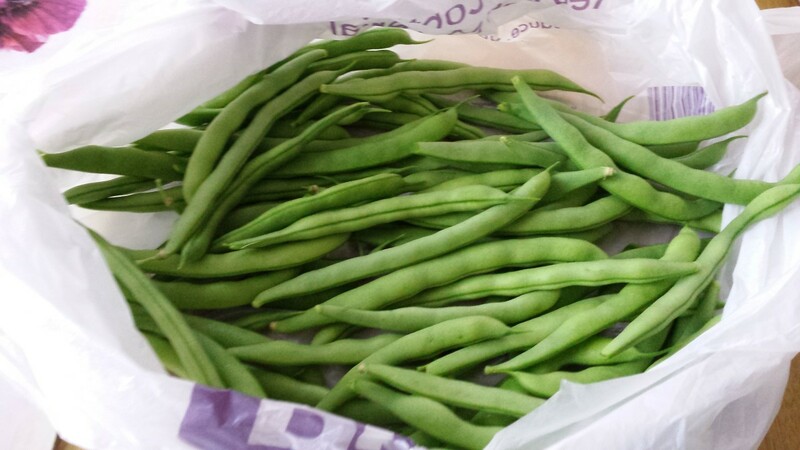 They can also be boiled for five minutes and eaten with olive oil S/P. 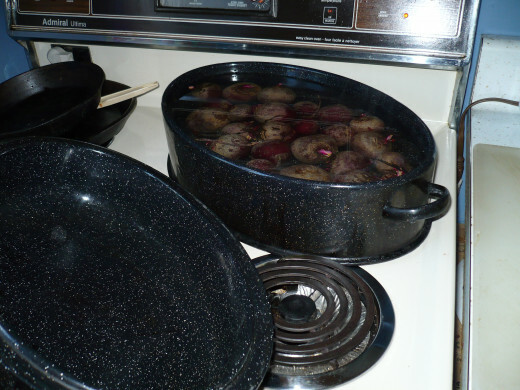 Beets can be boiled, roasted, cooked and pickled. Beet roots can be roasted with the skins on with carrots, turnips,onions and sprinkled with olive oil and thyme in a four hundred degree oven until tender. Peel the beets before serving. Most greens that we eat give us a powerful boost of nutrients like iron ,calcium and greens also promote lung health. Enjoy your greens for your health. Would you try a salad full of greens instead of iceberg lettuce? Yes, I would love this salad. No, iceberg lettuce is all I eat. @vespawoolf you are welcome. The health benefits are endless for spinach but most important is a lot of Nutritionist remind us that spinach is our colons little broom. Thanks for coming by to comment. I didn't realize spinach is more finicky and lower yield than the other greens. I love greens and especially for the health benefits! We add spinach to our morning smoothies. Thanks so much for this helpful information. Thank you Bettyoverstreet10. I am having a fabulous Sunday and right back at cha. I enjoyed you stopping by, have a great week also. Thanks for the info. Reminded me it is time to plant my kale. It is a fairly new vegi to me and I really enjoy it in my soups and now will try it in my salads. Have a great new week! And a wonderful Sunday today! You better eat your spinach shiningirisheyes because spinach is your colons little broom. I use it on sandwiches instead of lettuce, in fact I use it all the time and quit buying lettuce. Thanks a lot for your comment. Thanks for stopping by and your comment Glimmer Twin Fan. 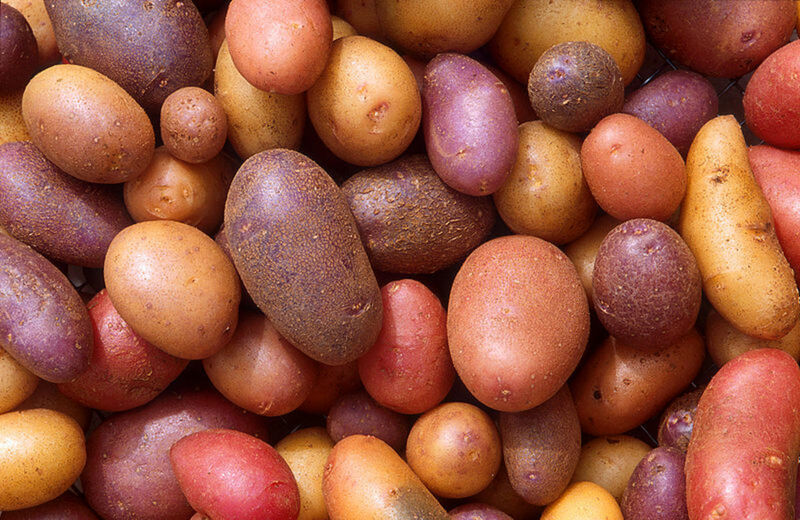 The darker the color of your vegetables the better they are for you. I also love beets any old way. Love any kind of green and you can't beat beets (sorry I could not resist) ! Interesting hub. Suzzycue - Although I detest beats, the other vegetables are delicious. After reading this I may just attempt to add spinach to my garden this coming season. Your welcome always exploring. Try putting kale ,spinach and beet greens in your salads and on your sandwiches instead of lettuce. Greens have a lot more nutrients than ice burg lettuce or other lettuces but when you add greens in with them,salads are better texture and better flavor. You are welcome. Sure you can and the greens are the best part. I love them. Thank you MarleneB for your comment. I didn't know we could eat the whole part of the beet. This is excellent information. Thank you. You have a kind brother, Lipnancy. Thanks a lot for dropping in and leaving your comment. 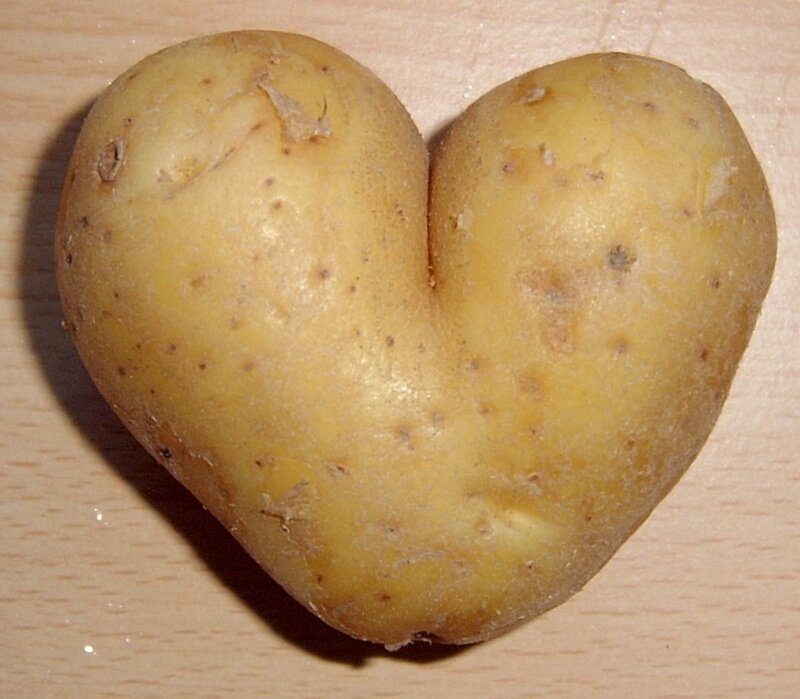 I love all these vegetables. My brother grows them every year for me. Thanks a lot for your comment Bob Ewing. Billybuc Thank You so much for your compliment. I love spinach on everything. I'll tell you the first advantage....I can't stand spinach, so I'm more than willing to eat kale, beets and chard instead. Thanks for the sharing this, greens are important.